Petro Packaging’s clear plastic tubes for arts and crafts have proven to be a reliable and attractive packaging choice in the industry. We offer round, square, or triangle plastic tubes with tight fitting removable caps as a practical and economical package of art products. An added advantage to using our tubes is that they have a flat bottom and can easily stand up in a retail display. 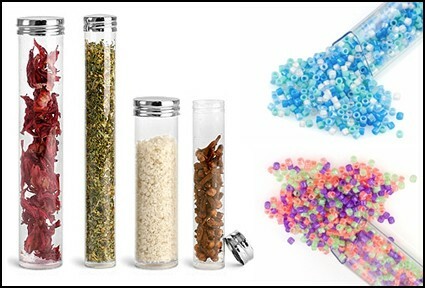 Our clear plastic tubes for arts and crafts have been sold in well-known retail stores such as Michaels and AC Moore, and have also been utilized in various craft projects featured on Etsy and Pinterest. Choose from our standard sizes, or have us customize a clear tube based on the exact size or volume of the product you wish to showcase!